Expression of vascular endothelial growth factor A (VEGF) and VEGF receptor 2 (VEGFR-2) in RKO colon cancer cells. A, Northern blot analysis of colon cancer cell lines (RKO, TS+, H630, and C48) to determine expression of VEGF messenger RNA. B, Real-time polymerase chain reaction results demonstrating the presence of VEGF and VEGFR-2; no evidence of VEGFR-1 was noted. Inhibition of vascular endothelial growth factor A (VEGF) in RKO colon cancer cells transfected with anti-VEGF short interfering RNA (siRNA). A, Northern blot analysis comparing VEGF messenger RNA (mRNA) in cells transfected with the VP and GL2 siRNAs and untransfected control cells (UT). B, The 48-hour knockdown of VEGF using different concentrations of VP siRNA. C, Transfection of VP siRNA results in greatest knockdown at 48 hours, but still provides a 59% knockdown after 5 days. D, Levels of mRNA compared from cells transfected with VP siRNA vs untransfected controls, using quantitative real-time polymerase chain reaction. Data are expressed as mean ± SD. GAPDH indicates glyceraldehyde-3-phosphate dehydrogenase. Effects of vascular endothelial growth factor A (VEGF) knockdown on colon cancer cell proliferation. The RKO cells treated with various doses of anti-VEGF VP short interfering RNA (siRNA) demonstrated decreased proliferation when compared with untransfected controls (UT). Proliferation was determined using the proliferation assay based on the tetrazolium salt WST-1. Data are expressed as mean ± SD. Cell cycle effects of treatment with anti–vascular endothelial growth factor (VEGF) VP short-interfering RNA (siRNA). A, No evidence of apoptosis noted on Western blot analysis for caspase-3 and PARP in transfected vs untransfected cells (UT). B, Cell cycle analysis of transfected vs wild-type cells demonstrates no evidence of apoptosis and an increased percentage of cells in the G1 phase at 48 hours after transfection. Hypothesis By using short interfering RNA (siRNA) to inhibit the in vitro expression of vascular endothelial growth factor (VEGF) A, we hope to further investigate the presence of an autocrine loop in colon cancer cells. We hypothesize that VEGF inhibition will result in decreased cellular proliferation. Design Human colon cancer cells were evaluated for the expression of VEGF and VEGF receptor 2 (VEGFR-2). In vitro assessments were then made of the ability of anti-VEGF siRNA to knock down expression of VEGF and the subsequent effect this decreased expression had on colon cancer cell proliferation. Setting Surgical oncology research laboratory. Interventions Human colon cancer cells from the RKO cell line were transfected with siRNA targeting the coding region of VEGF. Main Outcome Measures Enzyme-linked immunosorbent assay, Northern blot analysis, and real-time quantitative polymerase chain reaction were performed to establish the ability of siRNA to decrease VEGF production. Proliferation assays were run on transfected and wild-type cells to establish concomitant decrease in VEGF expression and cellular proliferation. Results The RKO colon cancer cells expressed both VEGF and VEGFR-2. Those cells transfected with siRNA targeting VEGF showed a 94% knockdown in VEGF expression and a 67% decrease in cellular proliferation. Conclusion Colon cancer cells expressing VEGF and VEGFR-2 may possess an autocrine growth pathway that can be effectively targeted using RNA interference as an antiangiogenic therapy. Angiogenesis is a complex process that is essential for tumor growth beyond 1 to 2 mm3.1,2 Vascular endothelial growth factor A, commonly known as VEGF, is one of the best characterized proangiogenic factors and plays a critical role in physiological and pathological angiogenesis.3 Vascular endothelial growth factor binds to the tyrosine kinase receptors VEGFR-1, VEGFR-2, VEGFR-3, and neuropilin 1.4 Vascular endothelial growth factor is secreted by most solid tumors5-9 and, via its interaction with its receptor VEGFR-2, mediates many key components of angiogenesis, including endothelial cell proliferation, invasion, migration, and survival, as well as vessel permeability. 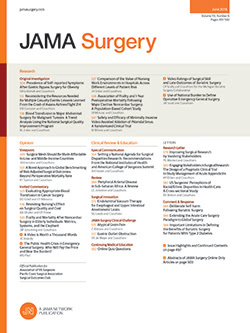 Colorectal carcinoma is the second leading cause of cancer-related death in the United States.10 In human colorectal carcinoma, levels of VEGF have been correlated with tumor progression and invasion.11 In addition, high VEGF expression in colorectal cancer has been found to be an independent prognostic factor for metastases and survival.12 In an important phase 3 clinical trial, patients with metastatic colorectal cancer were treated with a neutralizing VEGF antibody (bevacizumab) in combination with standard chemotherapy (irinotecan hydrochloride, fluorouracil, and leucovorin calcium) and demonstrated improved survival.13 Although the results of this trial validate the use of antiangiogenic therapy as an important treatment modality, some investigators have observed resistance to this therapy owing to the ability of tumor cells to up-regulate the expression of VEGF and thereby negate antiangiogenic therapy.14 Moreover, because of redundancy and complexity within the angiogenic pathway, many investigators are beginning to advocate the need to target several different points within this pathway for maximal efficacy.15,16 One potential antiangiogenic strategy is to silence gene expression of angiogenic factors at the messenger RNA (mRNA) level. A multistep process termed RNA interference (RNAi) results in specific silencing of cellular gene expression.17,18 Double-stranded segments of RNA undergo enzymatic processing that results in the formation of fragments, 21 to 25 nucleotides in length, termed short interfering RNAs (siRNAs).19 After binding to RNA-induced silencing complexes, siRNAs then mediate the degradation of complementary mRNA. The RNAi technology is commonly used as a research tool, and its use in clinical settings is now being explored. The potential for using RNAi technology for therapeutic applications that target critical signaling pathways involved in cancer is great, owing to its high specificity for targeted genes and its potency at low concentrations. Vascular endothelial growth factor is a prime target for the therapeutic siRNA approach to gene silencing for those tumors that produce high levels of VEGF, such as colorectal carcinoma. In addition, the discovery of VEGF and VEGFR-2 expression in many solid tumors20-22 has led to the hypothesis that VEGF functions as part of an autocrine pathway in which tumor cells produce and are stimulated by angiogenic factors, and this autocrine stimulus then enhances tumor survival and proliferation.23-25 Therefore, we investigated the expression of VEGF and its receptors in colon cancer cells. Using RNAi, we were able to effectively silence VEGF expression and assess the effects of this knockdown on cellular proliferation. The RKO human colorectal carcinoma cells were cultured in RPMI-1640 medium (Invitrogen Corp, Carlsbad, Calif) supplemented with 9% fetal bovine serum (FBS) (Invitrogen Corp) in T75 vented flasks. They were incubated at 37°C in 5% carbon dioxide–humidified air. Cells were passed every 3 days on reaching 70% confluency, using a combination of trypsin and EDTA (Invitrogen Corp). The RKO cells were maintained in culture as described. On reaching 70% confluency in a T75 flask, cells were harvested by means of trypsinization, counted using trypan blue dye and a hemocytometer, and plated for transfection at a density of 100 000 cells per T25 flask in RPMI-1640 media containing 9% FBS. The VP siRNA was diluted in reduced serum medium (OptiMEM I; Invitrogen Corp) to reach a final concentration of 50nM, and 24 hours after plating was transiently transfected into the RKO cells using 4 μL of a lipid-based transfection reagent (Oligofectamine; Invitrogen Corp). The RKO wild-type cells treated with Oligofectamine and GL2 siRNA (50nM) or Oligofectamine alone were used as controls. These were selected to control for possible effects of the Oligofectamine transfection vehicle or nonspecific effects of intracellular siRNA. Media were changed at 24 hours, and supernatants were collected at 24, 48, and 72 hours after transfection. All supernatants were stored at −20°C, and cell debris was centrifuged out before analysis by means of sandwich enzyme-linked immunosorbent assay (ELISA). An anti-VEGF hairpin siRNA (pVP) (sense, 5′-TCCCAATGT-GAATGCAGACCAAAGAATTCCTGTCATTCTTTGG-TCTGCATTCACATTT-3′; antisense, 5′-CAAAAAATGTGAATGCAGACCAAAGAATGACAGGAAGTTCTTTGGTCTGCA TTCACATT-3′) was designed, chemically synthesized, and cloned into the psiRNA-hH1neo G2 plasmid (InvivoGen, San Diego, Calif). Five hundred thousand cells were plated to T25 flasks, and 24 hours after plating, cells were transfected with 3 μg of the plasmid containing the anti-VEGF hairpin. Transfection was performed using a lipid-based transfection reagent (Lipofectamine 2000; Invitrogen Corp) as the vehicle lipid. Untransfected cells were treated with Lipofectamine 2000 alone to control for any effects of the lipid transfection vehicle. Media were changed at 24 hours after transfection and replaced with 5 mL of fresh complete medium. Supernatant was collected from each flask at 48 hours after transfection for sandwich ELISA analysis. Several different human colon cancer cell lines (RKO, TS+, H630, and C48) were screened for VEGF production by means of Northern blot analysis. In addition, RKO cells, plated at 100 000 cells per flask, were transiently transfected using 4 μL of Oligofectamine and 50nM VP or GL2 siRNA. Forty-eight hours after transfection, cells were trypsinized and washed, and total RNA from cultured cells was isolated and purified (RNeasy kit; Qiagen, Valencia, Calif). The Northern Max-Gly kit (Ambion, Austin, Tex) was used to perform Northern blot analysis. Twenty micrograms of total RNA was denatured using a combination of glyoxal and dimethyl sulfoxide and electrophoresed on a 1% agarose gel. Once separated by denaturing agarose gel electrophoresis, the RNA was transferred to a positively charged nylon membrane (BrightStar-Plus; Ambion), used to minimize background and maximize signal. Membranes were hybridized overnight at 65°C with a VEGF riboprobe amplified from complementary DNA (cDNA) using the following primer sequences: 5′-CTGCTGTCTTGGGTGCATT-3′ (sense) and 5′- TAATACGACTCACTATAGGTGATGTTGGACTCCTCA-3′ (antisense). The riboprobe was produced using a high-yield RNA transcription kit (MEGA shortscript T7; Ambion) and then labeled (BrightStar; Ambion). Total RNA was isolated from cultured RKO cells using the RNeasy kit, and real-time polymerase chain reaction (RT-PCR) was performed using a first-strand cDNA synthesis kit (SuperScript III; Invitrogen Corp) and Platinum Taq DNA Polymerase (Invitrogen Corp). The cDNA obtained for VEGF and its receptors was amplified using PCR, as was the cDNA for β-actin, a housekeeping gene that served as a control. The sequences used for primers were as follows: 5′-CGAAGTGGTGAAGTTCATGGATG-3′ (sense) and 5′-TTCTGTATCAGTCTTTCCTGGTGA-3′ (antisense) for VEGF; 5′-CTGGCATGGTCTTCTGTGAAGCA-3′ (sense) and 5′-AATACCAGTGGATGTGATGCGG-3′ (antisense) for VEGFR-2; 5′-GTCACAGAAGAGGATGAAGGTGTCTA-3′ (sense) and 5′-CACAGTCCGGCACGTAGGTGATT-3′ (antisense) for VEGFR-1; and 5′-GTGGGGCGCCCCAGGCACCA-3′ (sense) and 5′-CTCCTTAATGTCACGCACGATTTC-3′ (antisense) for β-actin. For RT-PCR, the program consisted of an initial denaturation at 95°C for 2 minutes, followed by amplification for 35 cycles (95°C for 1 minute to denature, 59°C for 1 minute to anneal, and 68°C for 2 minutes to extend) with a final extension step at 68°C for 10 minutes. Products were then separated by means of electrophoresis on a 1% agarose gel and bands were visualized using UV light. Cells were transiently transfected using a 50nM final concentration of siRNA as already described. On harvesting at 48 hours after transfection, total RNA was isolated using the RNeasy kit. Complementary DNA was synthesized using the Superscript III first-strand cDNA synthesis kit. Each cDNA was then amplified using the TaqMan universal PCR master mix (Applied Biosystems, Foster City, Calif) and the VEGF or the β-actin TaqMan expression assay (Applied Biosystems), which contained predesigned sense and antisense primers and a FAM dye–labeled probe (AnaSpec, San Jose, Calif). The PCR was performed on a sequence detection system (ABI Prism 7900 HT; AME Biosciences, Toroed, Norway) for 40 cycles, and the relative quantitation was obtained using SDS 2.2 software (Applied Biosystems). The data were controlled for quantity of mRNA input by measuring the reference gene, β-actin. Levels of VEGF mRNA were compared between cells transfected with 50nM siRNA and untransfected wild-type cells. The RKO cells were grown in culture and transfected as already described, and ELISA assays were performed on supernatants collected from the cells transiently transfected with the naked siRNA, those transiently transfected with the hairpin siRNA, and those cells used in the WST proliferation assay. Untransfected wild-type cells were used as a control in all of these experiments to provide baseline levels of VEGF production. Protein levels of VEGF were measured using an ELISA kit for human VEGF (DuoSet; R&D Systems, Minneapolis, Minn). Forty-four nanograms of goat antihuman VEGF capture antibody was coated to each well of a high-binding radioimmunoassay/enzyme immunoassay flat-bottom 96-well plate (Corning, Corning, NY) and incubated overnight. The plate was then washed 3 times with a wash buffer consisting of 1 × phosphate-buffered solution (PBS) and 0.05% polysorbate 20 (Tween 20; pH, 7.4), and then blocked with a 1% solution of combined bovine serum albumin and PBS containing 5% sucrose and 0.02% sodium azide for 2 hours. After rinsing 3 times with the wash buffer, 100 μL each of known VEGF standards and samples were added to the wells, incubated for 2 hours, and rinsed 3 times with the wash buffer. The secondary antibody of biotinylated goat antihuman VEGF was added to each well and incubated for 2 hours, after which the plates were washed, and streptavidin was added to each well. This was incubated for 20 minutes, plates were then washed, and a 1:1 mixture of color reagent A (hydrogen peroxide) and color reagent B (tetramethylbenzidine) (R&D Systems) was added to each well. After a 20-minute incubation, 50 μL of 2N sulfuric acid was added to each well as a stop solution. Plates were then read using the a microplate spectrophotometer (Powerwave 340; Bio-Tek, Winooski, Vt). The VEGF values were calculated by plotting absorbance at 450 nm and comparing unknown values with standards in a range of 0 to 1000 pg/mL. To assess the level of knockdown, levels of VEGF in the supernatant from cells transfected with VP siRNA were compared with levels of VEGF in the supernatant from wild-type untransfected cells. Cell proliferation was measured using the WST assay (Roche Diagnostics, Indianapolis, Ind), performed according to the manufacturer's instructions. Briefly, RKO cells were plated at a density of 2500 cells per well in a 24-well plate. Cells were cultured in RPMI-1640 medium containing 9% FBS. Twenty-four hours after plating, the cells were transiently transfected using various concentrations (0.1nM-100nM) of the VP and GL2 siRNAs. In addition to those cells transfected with the GL2 siRNA, wells with media alone and those with untransfected cells receiving lipid only were included as negative controls. Cells were plated in triplicate for each siRNA to be transfected, as well as for the untransfected and media-only wells. After transfection, plates were placed back into the incubator (37°C; 5% carbon dioxide) for 72 hours and were then retransfected in exactly the same manner. Cellular proliferation was determined 48 hours after retransfection (5 days after the original transfection) using the WST-1 proliferation assay. After the addition of 45 μL of the WST, reagent plates were then placed back into the incubator for 90 minutes. A 60-μL aliquot of each supernatant was then transferred to a 96-well plate, and absorbance was read at 460 nmol/L using a multiwell spectrophotometer (Powerwave 340 Microplate Spectrophotometer; Bio-Tek). These WST-1 proliferation experiments were performed in duplicate and each experimental condition was plated in triplicate. Additional proliferation experiments were carried out as described in the preceding paragraph using reduced serum media (2% FBS) and RPMI-1640 medium with 9% FBS. In these experiments, conditioned media (taken from cultured wild-type RKO cells) or 10 ng of recombinant human VEGF 165 (Calbiochem, San Diego, Calif) was added back to the wells of the transfected cells at 48 hours after transfection in an attempt to abrogate the decreased proliferation seen in the cells transfected with the VP siRNA. Flow cytometry was used to further assess the etiology of the decreased proliferation seen in cells transfected with the VP siRNA. Cells were transfected using 50nM siRNA as previously described in the “Transient Transfection of the siRNA Oligonucleotides” subsection of the “Methods” section. Untransfected cells served as the negative control in these experiments. Cells that had been transfected with VP and those that received the lipid only were harvested at 48 hours after transfection. On harvesting, cells were washed with 1× PBS and fixed with 70% ethanol. Next, cells were treated with RNase A (Sigma-Aldrich Corp, St Louis, Mo) and stained with propidium iodide (Sigma-Aldrich Corp). Finally, each sample underwent cell cycle analysis on a flow cytometer (FACSCalibur; BD BioSciences, Rockville, Md) using FlowJo software (Tree Star Inc, Ashland, Ore). The RKO cells grown in culture were assayed, using Western blot analysis, for VEGFR-2 and VEGFR-3. For analysis of poly (ADP [adenosine diphosphate]–ribose) polymerase (PARP) and caspase-3 protein levels, cells were grown in conditions identical to those used for the WST-1 proliferation assay, transfected with 25nM siRNA, and at 48 hours after retransfection were harvested and lysed. All cells were lysed in radioimmunoprecipitation buffer (10mM Tris hydrochloride [pH, 7.4], 15mM sodium chloride, 0.1% sodium dodecyl sulfate, 1% nonidet p40, and 0.5% deoxycholic acid) supplemented with protease inhibitor. Lysates were cleared via centrifugation at 13 000 rpm for 10 minutes. Protein concentration was determined using the DC protein assay kit (Bio-Rad Laboratories, Hercules, Calif). Equal amounts of protein were loaded on a 12% sodium dodecyl sulfate–polyacrylamide gel electrophoresis gel (Bio-Rad Laboratories) for evaluation of PARP and anti–caspase-3 and a 4% to 20% Tris hydrochloride precast ready-gel (Bio-Rad Laboratories) for evaluation of VEGFR-2 and VEGFR-3 and then transferred to polyvinylidene membrane (Millipore Corporation, Bedford, Mass). Membranes were blocked for 1 hour with a combination of 5% nonfat dry milk, 0.05% polysorbate 20, and 1× PBS (pH, 7.4) and were then incubated for 1 hour with the appropriate primary antibodies. The primary antibodies used were anti–caspase-3 (rabbit antihuman; Upstate, Lake Placid, NY; 1:1000 dilution), anti-PARP (rabbit antihuman; Upstate; 1:1000 dilution), anti–VEGFR-2 (rabbit antihuman FLK-1; Santa Cruz Biotechnology, Santa Cruz, Calif; 1:1000 dilution), and anti–VEGFR-3 (rabbit antihuman FLT-4 antibody; Zymed Laboratories, South San Francisco, Calif; 1:1000 dilution). Horseradish peroxidase–conjugated goat anti–rabbit IgG (Zymed Laboratories) was diluted at 1:2000 and used as the secondary antibody. Proteins were detected using a chemiluminescent substrate (SuperSignal West Pico; Pierce, Rockford, Ill). Several lines of human colon cancer cells were screened for the presence of VEGF by assessing VEGF mRNA levels on Northern blot analysis. Of the 5 cell lines assayed, the RKO line had the highest levels of VEGF mRNA and was therefore selected for further experiments (Figure 1A). The RKO cells are poorly differentiated human colorectal adenocarcinoma cells that contain wild-type p53 and have a doubling time of approximately 19.6 hours. To establish that the RKO cells expressed both VEGF and the VEGFR-2, RT-PCR was performed with separate primers for VEGF, VEGFR-1, and VEGFR-2, with β-actin as a control (Figure 1B). On Northern blot analysis, our RKO cells expressed both VEGF and VEGFR-2 but not VEGFR-1. On Western blot analysis, we confirmed the presence of VEGFR-2 and also demonstrated the expression of VEGFR-3 (data not shown). The presence of both VEGF and VEGFR-2 indicates the possibility of both exogenous activation of RKO cells by VEGF, as well as an autocrine loop within our cells. Four siRNAs targeting the coding region of the VEGF gene were synthesized as described in the “siRNA Sequences” subsection of the “Methods” section and subsequently screened for effective gene silencing. They were each transiently transfected into the RKO cells and the supernatants were tested by means of sandwich ELISA for levels of secreted VEGF. The siRNA-termed VP (sequence ATGTGAATGCAGACCAAAGAA), which targets nucleotides 1082 to 1102 in exon 4 of the coding region, had the highest degree of VEGF knockdown on ELISA, with a 94% decrease in the secreted VEGF protein. After selecting VP as the most effective siRNA, we performed Northern blot analyses using mRNA obtained from cells transiently transfected with the VP siRNA, cells transfected with GL2, and our untransfected controls. These results (Figure 2A) demonstrated knockdown of the VEGF protein at the mRNA level. To further establish the silencing effects of the VP siRNA on VEGF expression, cells were transfected with several different concentrations (1nM, 12nM, 24nM, 36nM, 48nM, and 50nM) of the VP siRNA or the GL2 control siRNA. Wild-type untransfected cells were also included as controls. Cell supernatant was collected at 24, 48, and 72 hours, and expression of VEGF was then quantified by means of sandwich ELISA. The greatest decrease in expression of secreted VEGF was seen at the 48-hour time point, using a 12nM concentration of the VP siRNA. Under these conditions, there was a 94% decrease in the expression of secreted VEGF. The amount of knockdown ranged from 67.5% to 94.0%, as seen in Figure 2B. We also evaluated the effects and durability of our transient transfection with the VP siRNA during the course of 5 days by collecting supernatant from our transfected cells and control cells and again assessing levels of secreted VEGF on ELISA. We again found a 94% knockdown at 48 hours, but a 59% knockdown of secreted VEGF was still evident 5 days after transfection in those cells treated with the VP siRNA (Figure 2C). To confirm ELISA results and better characterize the knockdown of VEGF at the mRNA level, quantitative RT-PCR was performed on cells harvested 48 hours after transfection. Levels of knockdown ranged from 61% to 67% in cells transfected with the VP siRNA compared with untransfected cells (Figure 2D). In addition to transfection using synthesized siRNA, we also transiently transfected cells using an anti-VEGF–expressing plasmid as a vector. To assess the ability of these plasmids to suppress VEGF production, supernatant was collected at 48 hours after transfection and analyzed by means of ELISA. The plasmid pVP showed a 77% knockdown in the secreted VEGF protein (data not shown). To determine the effect that decreased production of VEGF had on human colon cancer cells, we performed cellular proliferation assays using the WST-1 reagent. The RKO cells were transiently transfected with different concentrations (0.1nM, 1nM, 10nM, and 100nM) of VP siRNA or scrambled control siRNA, and untransfected wild-type cells were also used as controls. After carrying out the experiment for 5 days, during which the cells were transiently transfected twice, a 67% decrease in cellular proliferation was noted in the VP-treated cells vs the untransfected controls (Figure 3). During the course of the proliferation assay, samples of supernatant were taken from the transfected and control cells and run on ELISA to ensure correlation between the decrease in proliferation and VEGF knockdown, and the greater than 90% decrease in secreted VEGF was again seen. In the proliferation assays in which recombinant human VEGF or conditioned medium was added back to the VP-treated cells, we did not see a significant recovery in proliferation. Those cells treated with recombinant human VEGF that were plated in complete medium showed a 53% decrease in proliferation, whereas the cells plated in medium containing 2% FBS demonstrated a decrease of 52%. Cells treated with conditioned medium showed a similar lack of recovery of proliferation. To further investigate the basis of the decreased proliferation seen in cells treated with the VP siRNA, we assessed our cells for evidence of apoptosis. Cells were plated and transfected as described for the WST-1 proliferation assay. At 5 days after the original transfection, cells were harvested and lysed, and Western blot analysis using antibodies against PARP and caspase-3 was performed. During apoptosis, PARP and caspase-3 are cleaved, and one would expect to see bands at 85 and 17 kDa, respectively. On the Western blot analyses performed, no evidence of apoptosis was seen in cells transfected with the VEGF–single peptide siRNA or in untransfected controls (Figure 4A). Cell cycle analysis was carried out on transfected and wild-type cells and again showed no evidence of apoptosis. Furthermore, 40% of cells transfected with the VP siRNA were in the G1 phase vs 25% of the untransfected cells. This represents a 64% increase in the percentage of cells in the G1 phase (Figure 4B). This study establishes the production of VEGF and the presence of VEGFR-2 and VEGFR-3 in RKO human colon cancer cells. We have also shown that RNAi-mediated silencing occurs in these cells by effectively knocking down production of VEGF using siRNA. The decrease in proliferation seen in RKO cells after treatment with siRNA-targeting VEGF not only demonstrates that VEGF plays a critical role in colon cancer cell proliferation but also that a VEGF-mediated autocrine loop may be a significant factor affecting tumor growth. We were able to correlate the decrease in production of secreted VEGF with a concomitant decrease in cellular proliferation. Previous studies33,37,38 have shown that inhibition of VEGF decreases tumor growth in several animal models. This effect on proliferation, however, does not occur in isolation, and it is unclear whether the decrease in tumor growth results from the effects of VEGF on the surrounding stromal and endothelial cells or on the tumor cells alone. In fact, recent reports by Guan et al38 and Detwiller et al37 demonstrated that siRNA targeting VEGF decreased sarcoma growth in vivo but had no effect on cellular proliferation in vitro. In our study, by using an in vitro model of human colon cancer cells, this decrease in proliferation seems to be a direct effect of the decreased production of VEGF by these cells. Some insight into this mechanism was offered in a recent study39 where a decrease in proliferation of colon cancer cells was seen in vitro after treatment with an anti–VEGFR-2 antibody. Our findings and those of Kim et al39 both support the idea that there may be a VEGF-directed autocrine loop directly affecting colon cancer cell proliferation. In conclusion, this study suggests the presence of an autocrine VEGF/VEGFR-2 loop in human colon cancer cells based on the expression of both VEGF and VEGFR-2. This is further supported by the in vitro decrease in proliferation seen after using siRNA-targeting VEGF. The production of VEGF has been shown to be associated with tumor progression and poor prognosis in colorectal carcinoma,12,40-42 and antibody-based strategies targeting VEGF have demonstrated improved survival in colon and lung cancer.13,43 Therefore, RNAi-targeting VEGF may prove to be a clinically viable antiangiogenic therapeutic strategy. Correspondence: Charles Cha, MD, Department of Surgery, Yale University School of Medicine, 330 Cedar St, LH 118, PO Box 208062, New Haven, CT 06520-8062 (charles.cha@yale.edu). Accepted for Publication: December 9, 2005. Author Contributions: Dr Mulkeen and Ms Silva contributed equally to this work. Funding/Support: This study was supported in part by the Dennis W. Jahnigen Career Development Award (New York, NY) (Drs Uchio and Cha), and the American College of Surgeons Faculty Research Fellowship (Chicago, Ill) (Dr Cha). Previous Presentation: This paper was presented at the 86th Meeting of the New England Surgical Society; September 30, 2005; Bretton Woods, NH; and is published after peer review and revision. The discussions that follow this article are based on the originally submitted manuscript and not the revised manuscript. Additional Information: This paper was selected as the first-place presentation in the basic science section at the New England Surgical Society resident paper competition. Edward Whang, MD, Boston, Mass: An important issue in this field is the problem of off-target silencing, so I wonder what steps you are taking to make sure that your siRNA is specific and that the observed phenotypic changes are due to silencing of the intended target. It's an important issue because human trials of siRNA have already begun. Dr Mulkeen: We’ve done several things so far to address that issue, particularly regarding whether the decrease in proliferation that we’ve seen is an effect of specific VEGF silencing. One of the things we’ve done is to run our proliferation assays and add back recombinant human VEGF, which we had hoped would then show recovery of the decreased proliferation. We didn't see any recovery of that proliferation. To further investigate, we then added back conditioned medium, which was just medium from our wild-type RKO cells. Again, we didn't see a recovery of our decreased proliferation. Because of that, we started to postulate that perhaps something else was going on with an autocrine loop, which was leading to this decreased proliferation. To address this, we have just begun to look at VEGFR-2; first, by assessing the activity of the receptor in our transfected vs untransfected cells, expecting to see a decrease in activity or phosphorylation of that receptor, leading to the decrease in proliferation. At least on the assays we have done so far, we haven't been able to see any change in the phosphorylation or activity of that receptor. Although preliminary, those results have led us to hypothesize that perhaps this autocrine loop that we believe is VEGF directed and is causing the decrease in proliferation may be the effect of an internal autocrine loop that is outside the province of VEGFR-2. In the future, we hope to look at that by evaluating the phosphorylation or activity of some of the mediators of that cellular proliferation cascade. Graeme Hammond, MD, New Haven, Conn: This is an extremely important and interesting paper. I’m particularly interested in it because we have cloned what is probably a naturally occurring, but probably incompletely processed, endogenous siRNA from trophoblasts that suppress major histocompatibility complex (MHC) class II expression when transfected into B cells or HeLa cells stimulated with interferon γ. Like you, we rarely get more than 90% suppression. I am concerned about this, since, if we propose to genetically engineer organs to prevent rejection, you must have 100% classical MHC suppression. Do you have any explanation for this? Dr Mulkeen: We haven't ever been able to get more than 94% or so knockdown using our siRNA, and one thought that we’ve had is that perhaps we could improve the efficiency of our siRNA. They were designed and synthesized using specific guidelines regarding how one constructs siRNA, but those guidelines are continually evolving, and there always seems to be a newer, better way. The science of how siRNA and RNA interference works is an evolving field, and there may be continued means by which we can improve our targeting, which then may be able to improve our knockdown. Mark Callery, MD, Boston: Any future clinical efficacy for this will pivot on targeted delivery systems to the cancer, and so for your xenograft experiments, for example, if you grow normal colon cancer cells in your mice and then you have an excellent knockdown siRNA in a syringe, how are you going to get that knockdown siRNA into the tumor cell of that mouse and then affect the cancer cell? If your xenograft already knocked down cells, it will behave like the tissue cultures will predictably, but how are you going to get it to the tumor? Dr Mulkeen: This again is something that is always critical when talking about potential therapy involving drugs that one has seen in the laboratory and how one might get that to actual patients. There have been several studies using siRNA in animal models to decrease tumor growth. Several groups have found that intraperitoneal injections seem to be somewhat effective. Other groups have found that in rodents, tail vein injections have seemed to be somewhat effective. I think there are other groups now that are using ligand-based kind of microspheres that are then going to be directly targeted to the tumor cells and therefore kind of having a specific area that they are taken up by. I think that ligand-based treatment may be something that becomes more applicable as this moves from the laboratory to the patient.